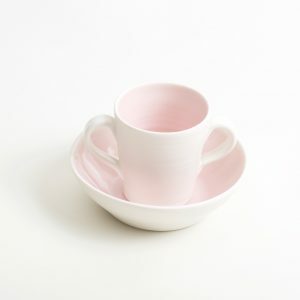 Hand-thrown child’s porcelain cup/ bowl. 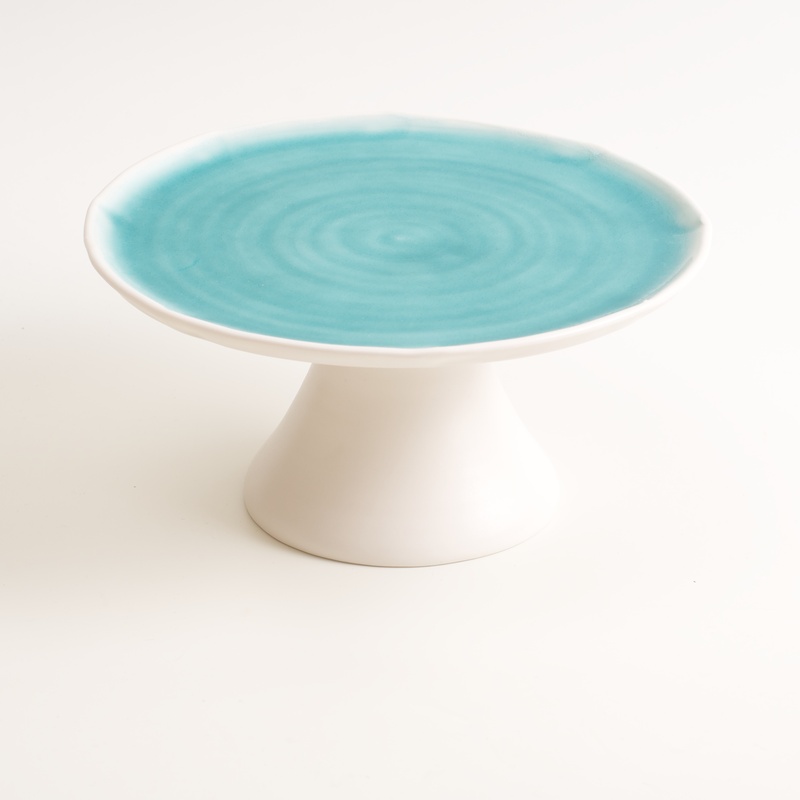 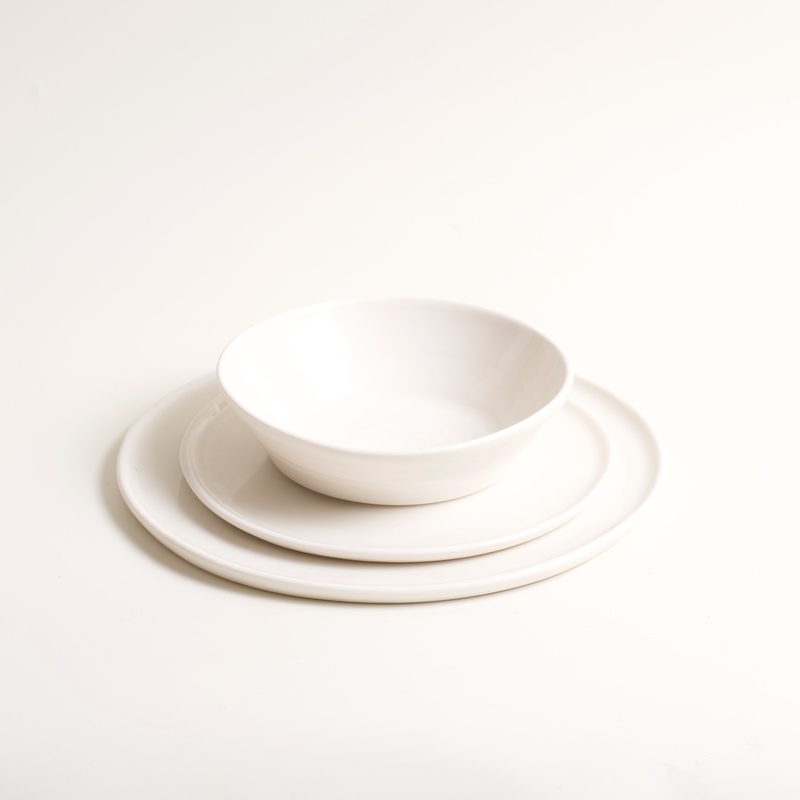 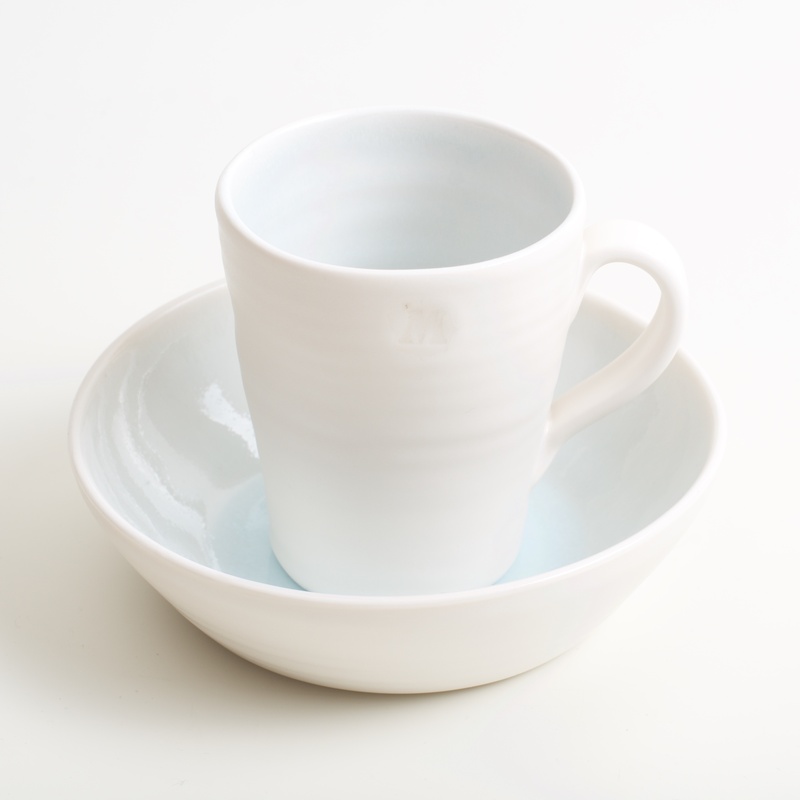 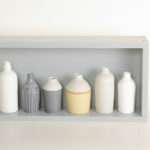 Thrown on the wheel in porcelain with pastel coloured glazes on the inside and a tactile satin matt glaze on the outside. 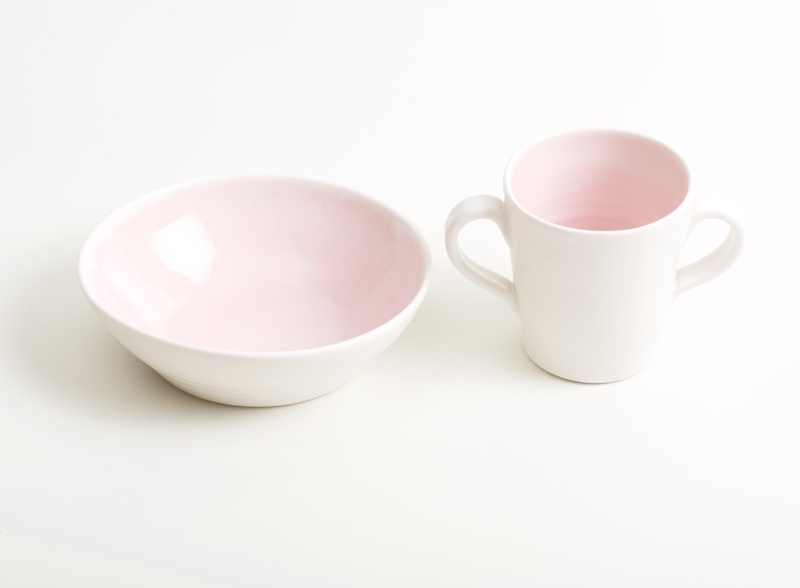 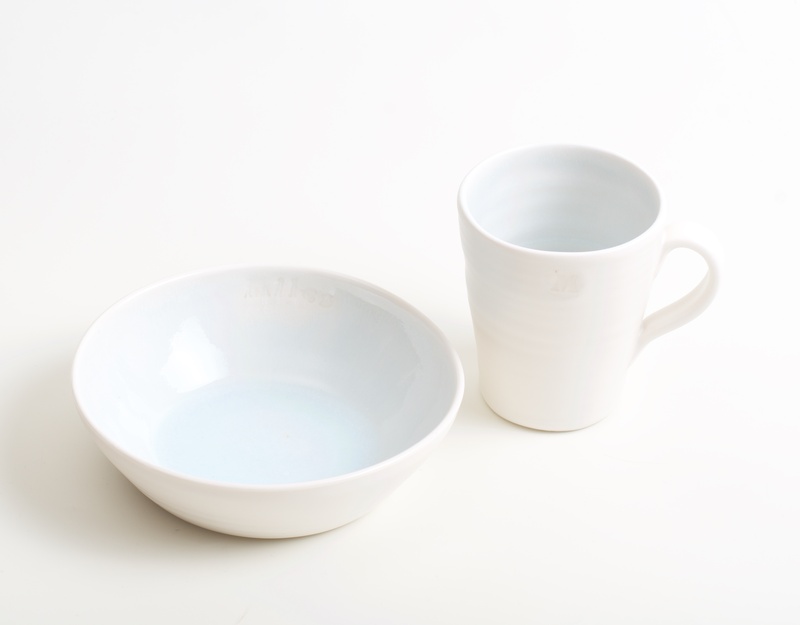 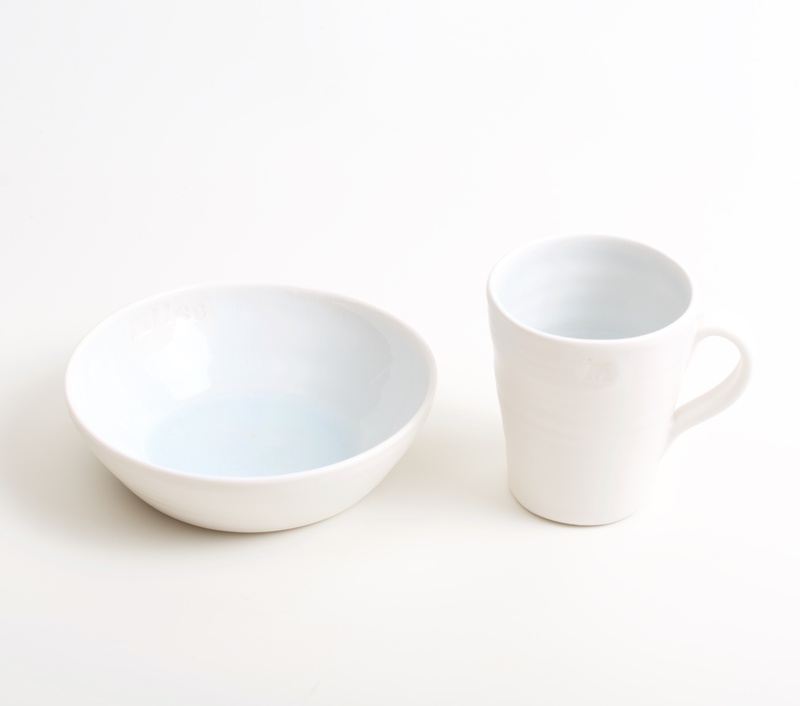 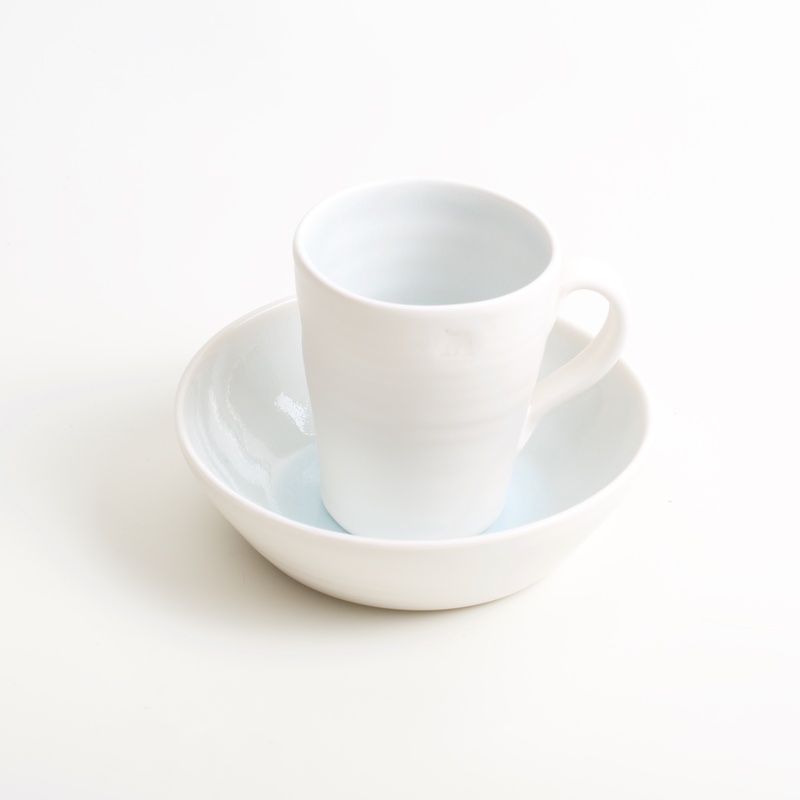 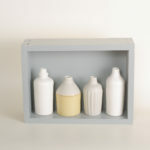 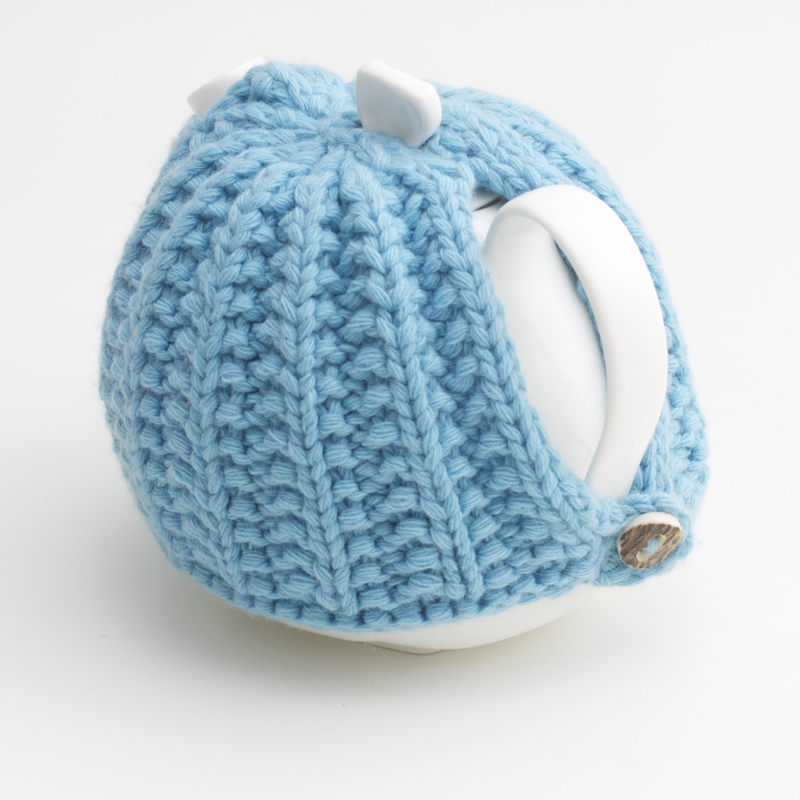 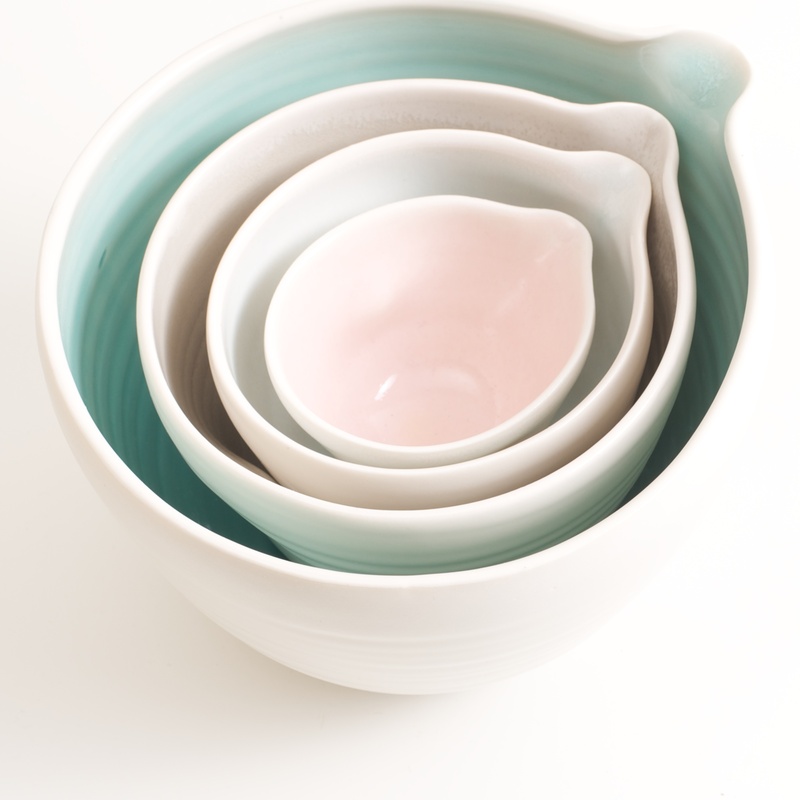 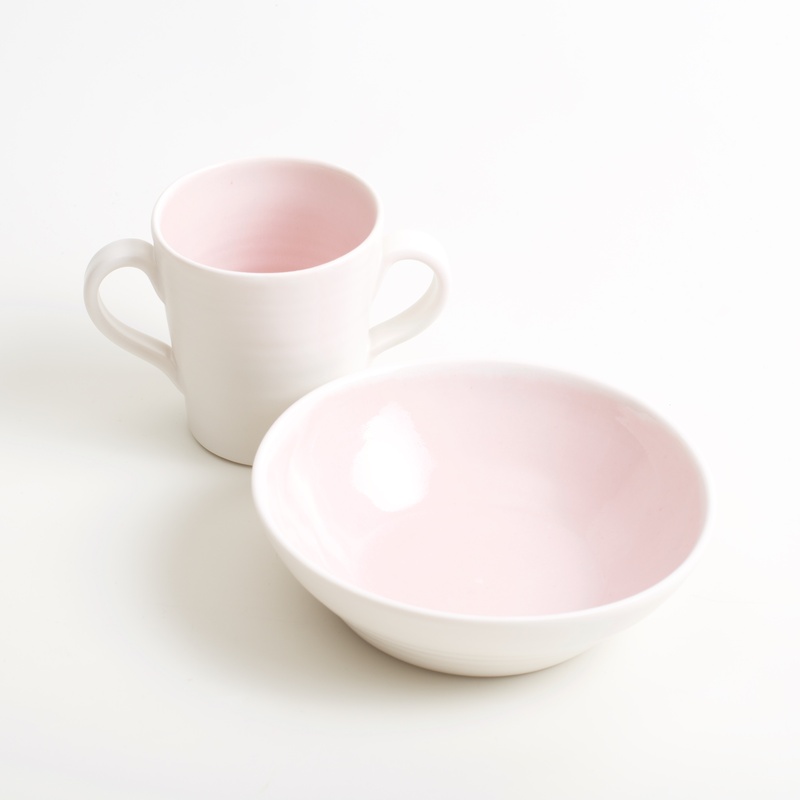 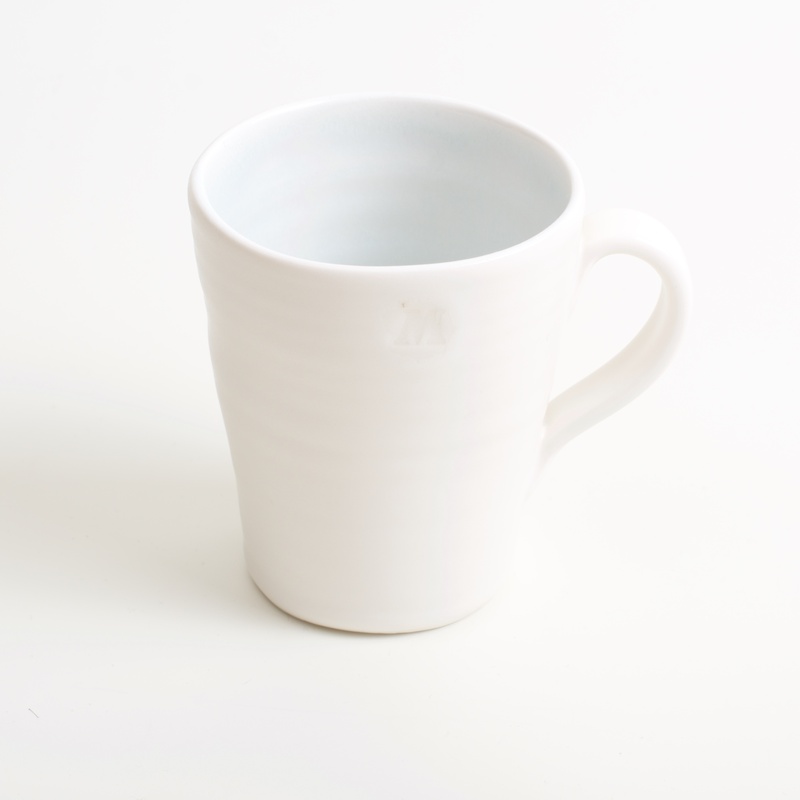 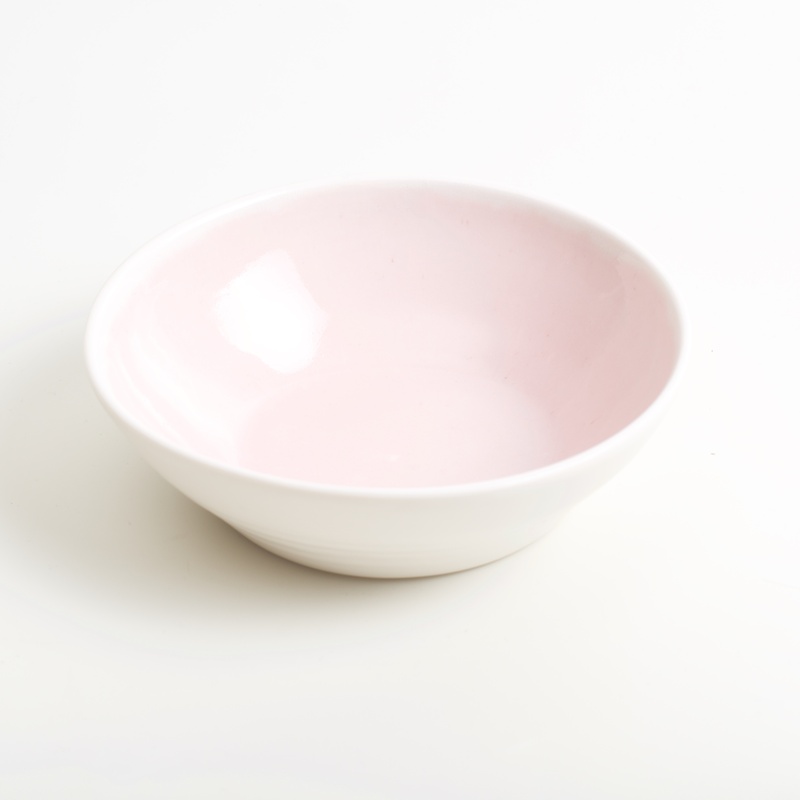 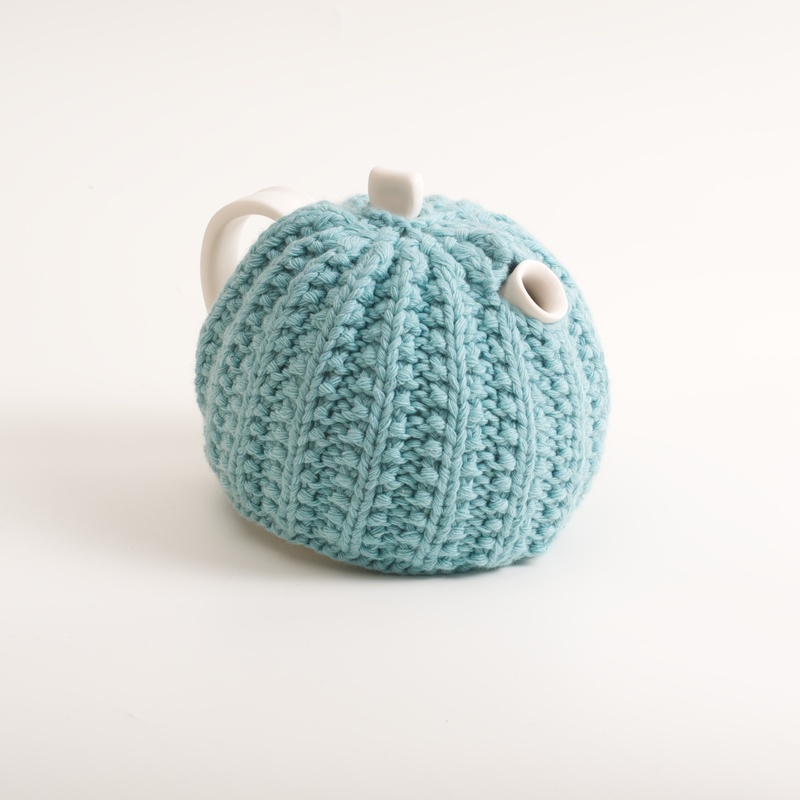 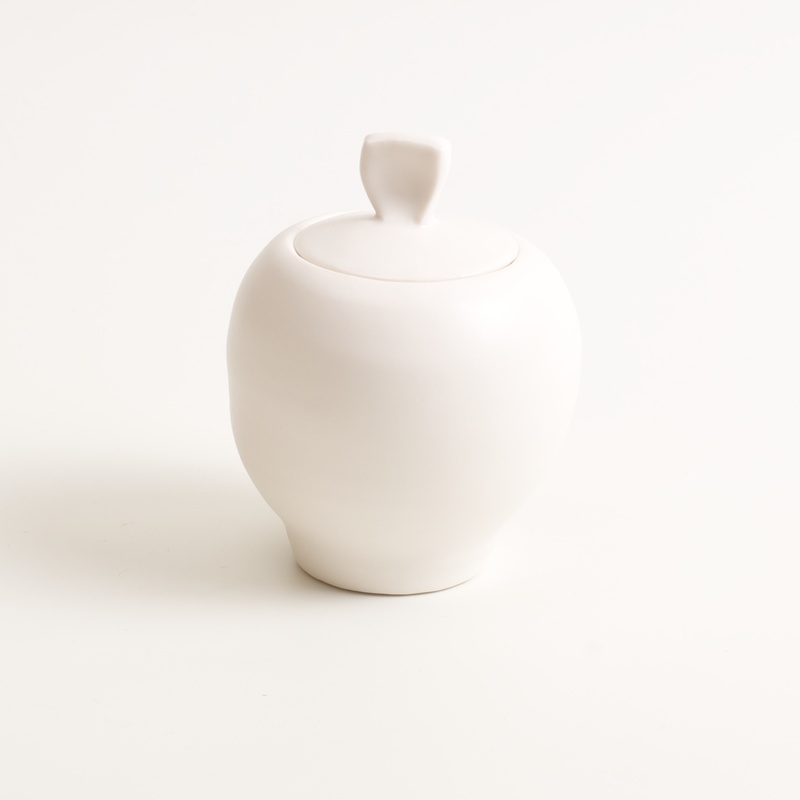 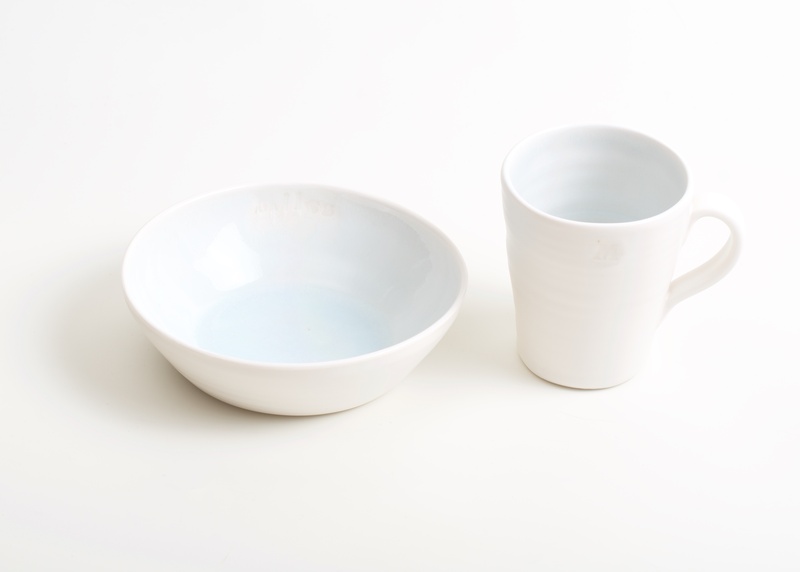 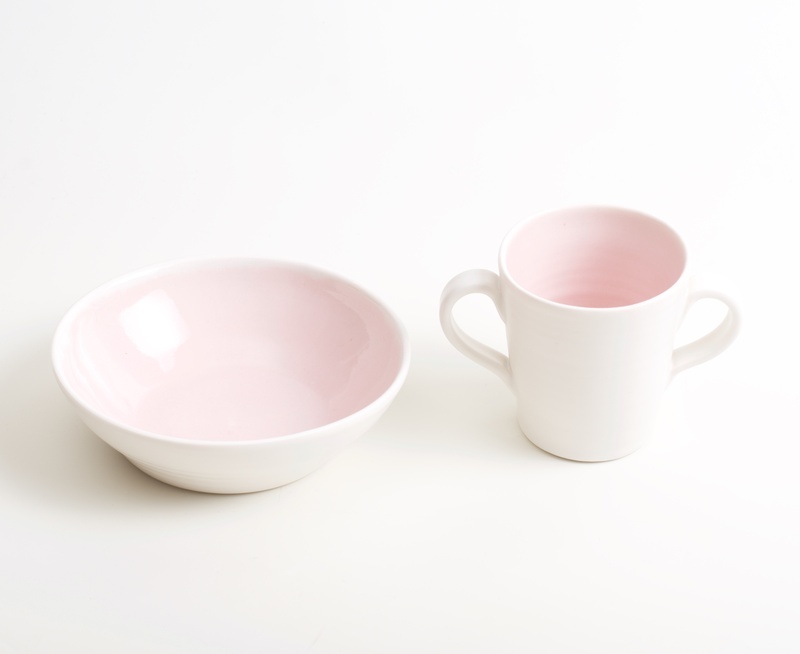 The glazes are made in the studio to unique recipes and are dishwasher safe. 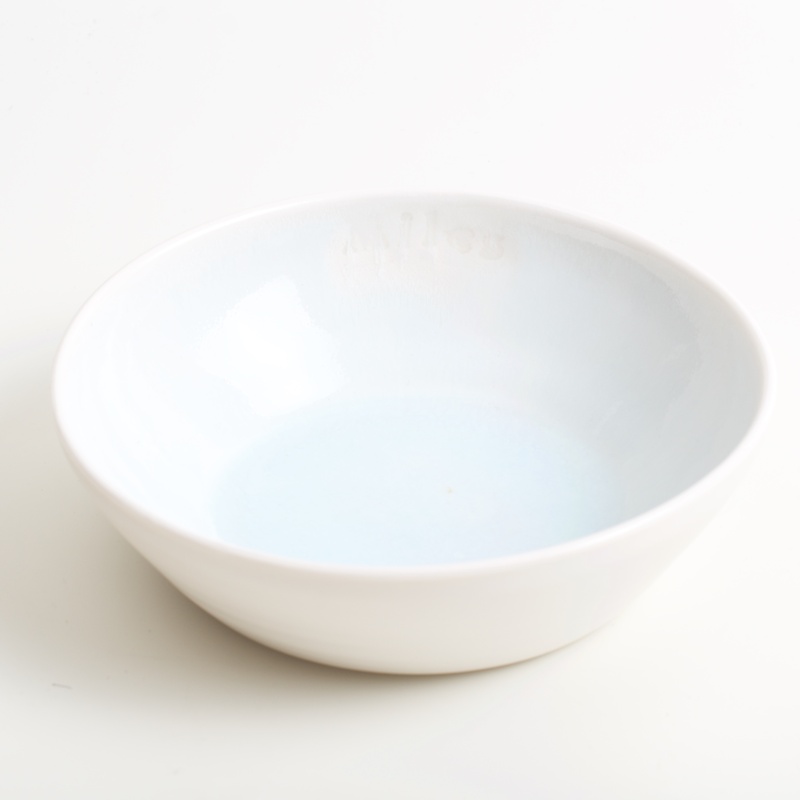 Can be used for soup, salads, cereal or desserts.